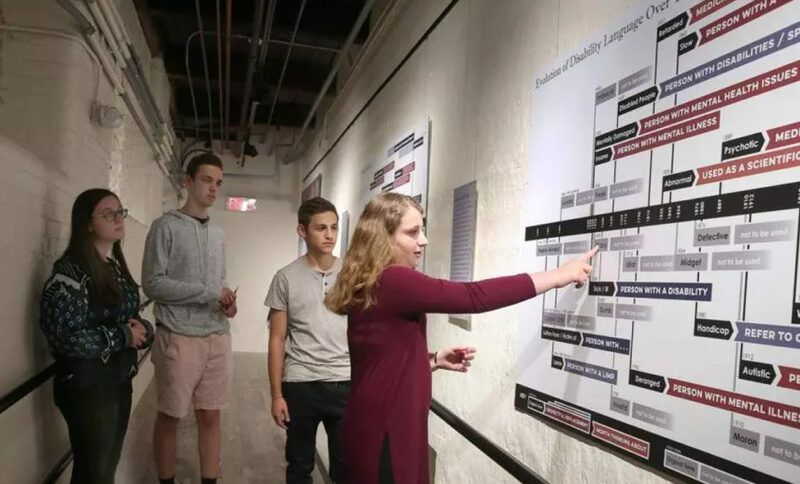 As a collaboration with students and educators at the Gann Academy, I developed two large timelines for Division, Unity, Hardship, and Progress: A Disability History of the United States at The Charles River Museum in Boston. 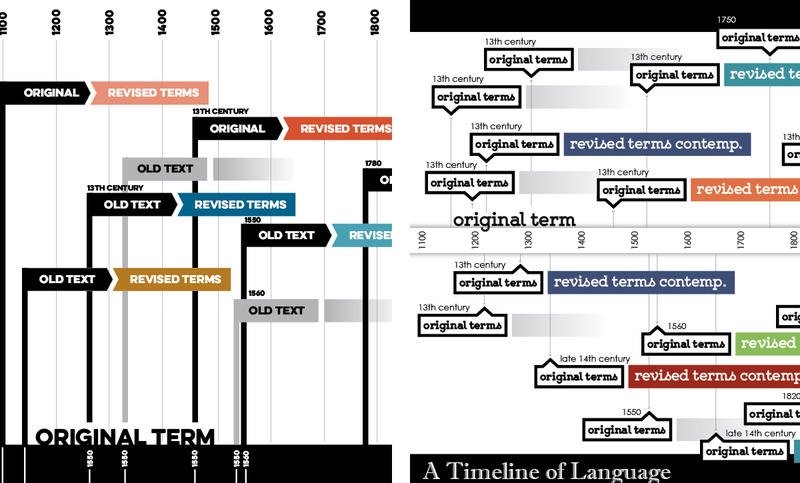 What you see below are the final timeline versions, along with exhibit views and design iterations. 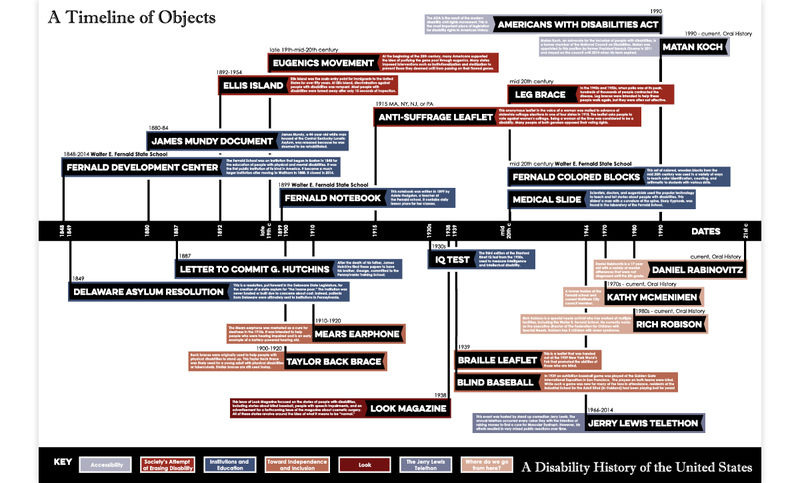 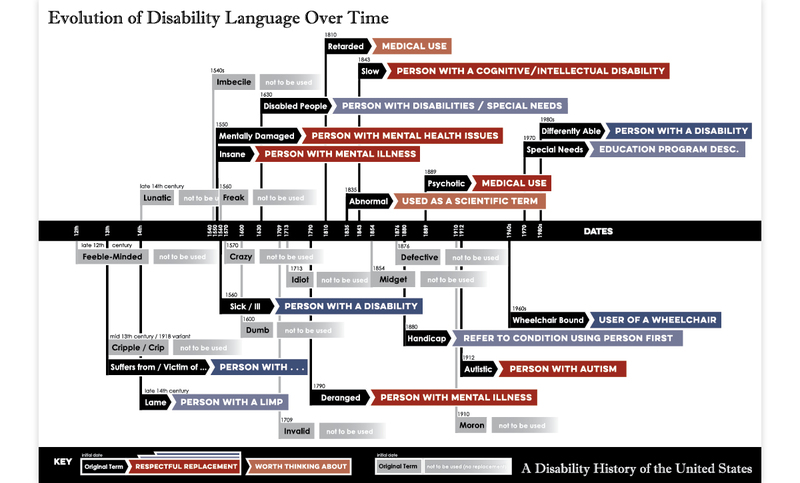 The timelines themselves explore a) the evolving terminology for disability and b) the evolving institutional and policy approaches to disabilities and ableism. Working from students’ research, the graphics were built in Illustrator. See the exhibit write-up at the Boston Globe.